Virgin No More: Don McQuinn! Boy, do I have a treat for you! A guy virgin! I know, I know. You didn’t think they made those, especially in the Marine version, but I found one! And what a guy he is. 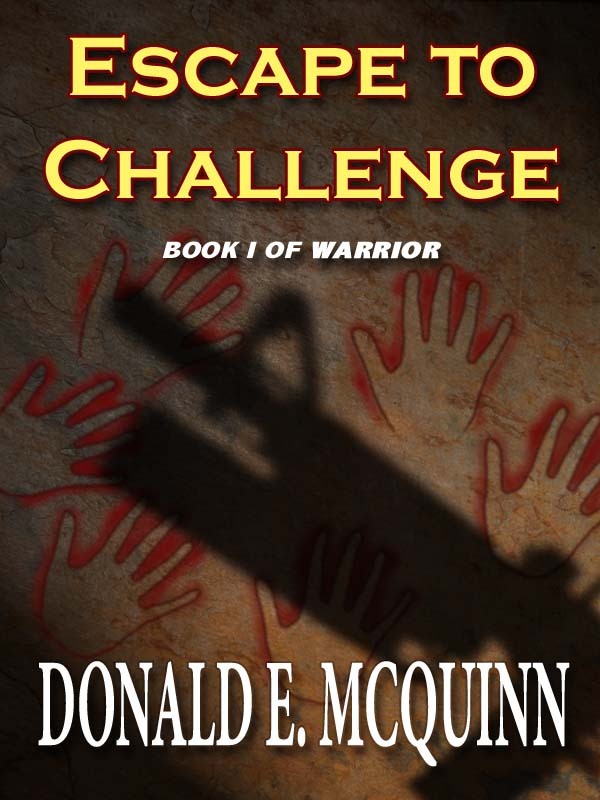 Don McQuinn not only writes strong women characters, he actually almost nearly understands them, at least as much as the male physiology allows. 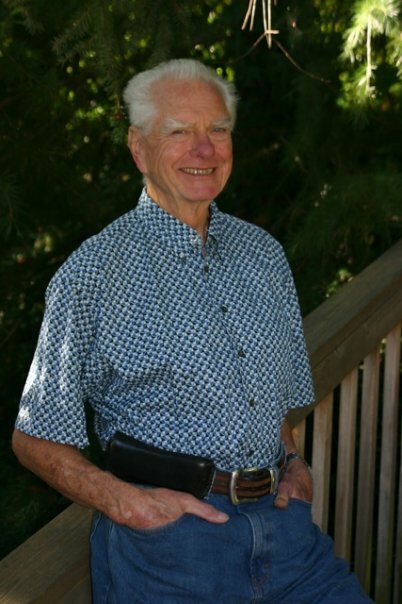 Don has a wealth of life experience to draw from—adored and adoring husband, father, grandfather, retired Marine officer and combat veteran, a surly civilian, and a fantastic teacher all wrapped up in an accent to die for. (If any of my books were ever put on audio, this is the voice I’d want to read it.) His journey is touching and humorous and full of humble wisdom. This is a man who has given back a lot more than he has taken from this life, and it shows in his work. Read on, and I bet you’ll be doing the “awwww” thing before you’re done. Then go buy his books for your brand new Kindle, Nook, or whatever. Kaki Warner and I have known each other for a long time. As much as I admire her work, I particularly admire her determination. She made herself successful; she’s an inspiration to everyone who knows her. I’m flattered and grateful that she’d introduce me to her fans. I’m new to the present social network thing, so she’s taken on the chore of teaching this old dog new tricks. She started by telling me I should provide some bio stuff and a description of what brought me to this point. It’s all pretty much of a piece, so I’ll do what a writer’s supposed to do – start at the beginning. I was born in Winthrop, MA. We moved a lot, and I did most of my growing up in Texas, but graduated college at the University of Washington. I was commissioned a 2nd Lieutenant, USMC that same June. Carol and I were married in December. The first week of February I was commanding a platoon on a hill in Korea. Twenty years later I retired from the Corps and discovered that, no matter how hard I searched, I could not find a worse civilian. Finding a job wasn’t the problem. Keeping one was a whole ‘nother thing. I quit two in rapid succession – probably one deep breath ahead of being fired. By then we’d moved to Seattle. When I talked about finding another job Carol said she wished instead that I’d start writing. Carol’s wishes are always spoken softly and lovingly, as that’s her nature. Experience shows, however, that behind that truly soft and loving nature lurks the wallop of a howitzer. She went on to say she knew I always wanted to be a writer and she’d always wanted me to be a writer. Her notion was that, between what she could earn and my retirement, we could get by until I started selling my work. Our three sons, all of whom had college aspirations, were in enthusiastic agreement with her in what had to be the goofiest family finance plan of the 20th century. I’ve always thought they all figured that if Daddy didn’t find something to do all by himself, hopefully in a dark basement, Daddy was going to get himself locked up. It’s a delicate issue; only my abiding sensitive nature has kept me from asking about it. Anyhow, with that kind of support, I couldn’t consider failure. It was on the menu for several years. I got my quota of rejection letters. I’ve heard people tell of keeping theirs. I burned mine minutes after they arrived. But I learned the craft. I went to writers conferences. I joined a writers group. I read everything, anything, and talked about writing with everyone I could. We did get by; Carol saw to it. Our sons did go to college; they took any and every job they could find to help pay their way. I got published. I was lucky enough to be awarded the Governor’s Literary Award for fiction and the PNWA Achievement Award. Even made some best-seller lists. Yeah, I did the writing – the heavy lifting, if you will. None of it would’ve happened without her faith and confidence. I tell that story a lot, but all it says about me is that I’m obstinate. The important thing is what it should tell you about you. I don’t care what your dream is, you do not let it go. It’s a hard world and the dream may never be fully realized, but the day you quit on it, you quit on your own heart. Once you surrender that dream, you can never stand as straight as when you held to it. It doesn’t even have to be your own dream, not if you take on someone else’s and help them understand how important it is to keep going forward with it. That’s what Carol did. Having said all that, I think those of you who are reading this know I work to create strong women characters. My post-apocalyptic novels feature Gan Moondark, a man with a quest. They’re adventure stories, full of action and challenges. I try to give them as much realism as possible. That means the women in the story are as engaged as the men because women understand adventure as fully as men do. If anything, they understand it better; they’re the ones who have to straighten out the mess when the hollering dies down. What many adventure stories forget, however, is that women come with their own agenda. For me, as a writer, that’s where the real fun starts. A story without a love interest is just dull. But a love interest that’s just there to gussy up the place, like a chintz curtain in a butcher shop, is a flat-out lie. I want to write about women I’d like to know. Maybe have a drink with them, maybe a cup of tea. No matter – they’re women who have their own story, their own ambitions, their own dreams and the innate feminine ability to combine theirs with those of someone they love. They’re supportive, but they’re not support. They’re partners – whether the guy understands that or not. And they’re most assuredly not mere followers. Even when fate sends them flying like autumn leaves, they fight to assert their will. Some people in this business disparage what’s called “women’s fiction.” They talk about it as if a women’s fiction book should come with an apron and a year’s supply of diapers. Bull. A female protagonist doesn’t detract from a good story and a book written with a view to women’s concerns isn’t trivial because of that. My own work isn’t structured to appeal exclusively to men or women. It’s aimed at readers. That’s why I can sit down with someone like Kaki and we can talk about books and stories and techniques and language and we’re always on the same page. She’s a standout writer, but she’s also a real pal. It’s people like her that are the most unexpected and most treasured benefit of being a writer. So I’d like to end this with some questions for you, her readers: Exactly what are you looking for in a book? Why do you find yourself drawn to a particular author or a particular time period for your recreational reading? And lastly, what do you think of the publishing business’s attempts to define women’s fiction? Virgin No More: Marne Kirk! Hey folks, I found another virgin! I know, hard to believe, but I guess they’re everywhere. This one comes from Colorado and is a hoot! She happily bares all the details of her de-flowering (both as a teenager and a writer) so I know you’ll want to read on. Her debut novel, Love Chosen, sounds like an exciting read, and she’s already scheduled for another release in a few months (so she must be doing something right, right?). 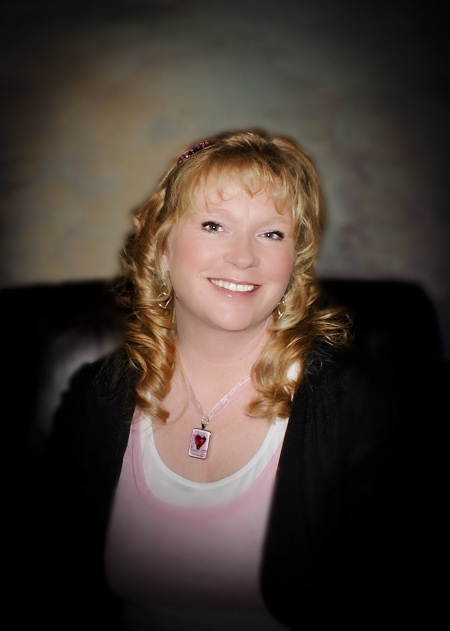 So please help me welcome a fun lady and fellow Crested Butte Conference goer, Marne Kirk. 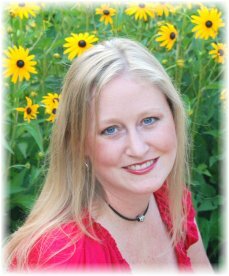 You can learn more about Marne and Love Chosen by visiting her website at www.marneannkirk.com. Thank goodness my “blossoming” as a published author has not really mirrored my, er, becoming a woman. 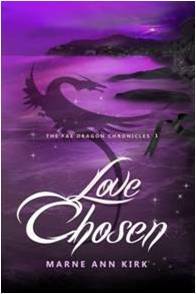 I am so excited to share my debut novel, Love Chosen, available through Crescent Moon Press. It’s a fantasy romance, set in a medieval world of magic and dragons, discrimination and faith. And, of course, love. Before I get into losing my writing virginity with “Love Chosen,” though, let me do a little set up on the other. I wasn’t your, um, perfect daughter, exactly… Kaki, if I had been your daughter, you probably would’ve given me up for adoption or locked me in a closet! (Looking back, I wouldn’t have blamed you). I had heard so much about that first time. Everyone was doing “IT.” I had all of these built up hormones I didn’t know what to do with (and I’d been to church enough to know about the one man being struck down for doing that one thing to himself, I didn’t dare do that…). Oh, and did I mention, if you weren’t doing it, or if you were doing it yourself, you just weren’t cool? Well, you know I HAD to do it… I set out looking for potential takers, found one (it wasn’t terribly difficult. I had a great product, lol), we dated for a few months (I was a chicken), and BAM Baby! Sad, I know. But true. I learned so much from this experience, though, and so much of it can be applied to getting published. I did NOT repeat this past in my writing life, proving humans CAN learn from their past. If you decide to do it yourself (publish your own novel), you won’t be struck down… but you might have better luck with someone helping (critique partners and editors) … I’m just saying. Pick your partner (editor or agent) wisely and make sure you love them. Do your research. Find a publisher or agent you know you can respect, be with for the long haul of producing and selling your novel, take criticism from…. “Love” for your book. You’re going to be bringing up your baby together. That’s HUGE! The moral of the story (and I tell my kids this all the time): if love isn’t there, you’re going to be disappointed. It’s better to wait. Wait until you love your story. Wait until your critique partners love your story. Wait until some contests have loved your story. Then wait until you’ve researched and found the perfect fit in a publisher or agent. I did, and I’m so glad. I’m going to give away a copy of “Love Chosen,” here today. So, if you enjoy fantasy romance, or if you think you might enjoy it, leave a comment and show some love! I’ll let Miss Kaki, our wonderful hostess with the mostest, pick the winner and work out the details. I’ll mail an autographed copy of “Love Chosen” to the winner. Virgin No More: Tes Hilaire! I’m excited to introduce you to this week’s Virgin No More – Tes Hilaire! 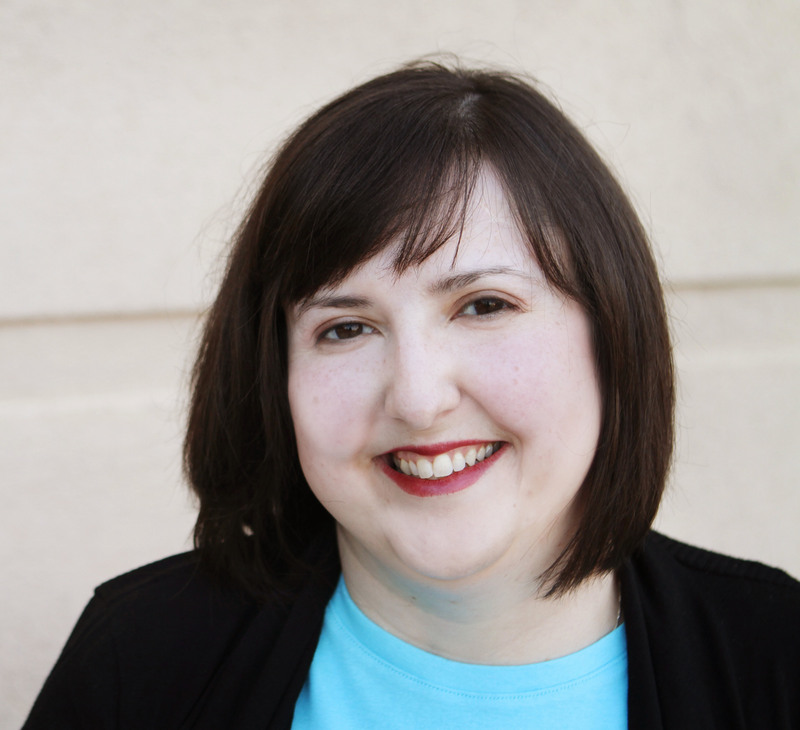 She’s a Daphne Award-winning author and former Tennessee native who doesn’t remember how old she was when she wrote her first story, but she’s pretty sure it had something to do with a boy and a girl and a happily ever after. Displaced at an early age to “the north country,” her stories turned darker as she started creating whole new worlds to escape the harsh, upstate NY winters. 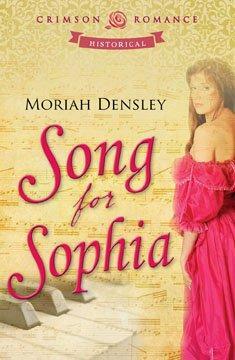 Now back in the South, her stories remain edgy, exciting, and bring a hint of dark fantasy to paranormal romance. Best of all, no one ever has to shovel snow. Her novel, Deliver Me From Darkness, is available now from your favorite bookseller. He had once been a warrior of the Light, one of the revered Paladin. A protector. But now he lives in sin darkness, and the shadows are his sanctuary. Every day is a struggle to overcome the bloodlust. Especially the day Karissa shows up on his doorstep. Alright, now it’s time for me to turn it over to Tes – enjoy! For more info about her books, please visit www.teshilaire.com. Losing your virginity happens in a variety of different ways. No, I’m not talking about the technical aspects of the act (go out and grab your own Karma Sutra for that ;-), but rather the emotional ones. Were you in love when it happened? (Yeah.) Was it everything you’d hoped? Better? Worse? (No comment) Did it, gulp, hurt? (Well…) My point is everyone has a different story and a different memory of this “first” time. Having your first book published is also kind of like that. Starting with that first question of: “When will it happen?” Or more scary to think about: “Will it happen?” (Yes! Yes it will.) How can I be so sure? Maybe I’m an optomist, but I firmly believe that if someone wants something bad enough it will happen. Though I must admit I wish someone had told me the when and how of becoming published was going to be the hardest part. See, there is no one way to make it in todays publishing world. My journey was not like Kaki’s or Lisa Potocar’s. And I guarentee you, it was not like Nora Robert’s or Janet Evanovich or John Grisham’s either. Regardless, I don’t know what Nora’s and John’s journey was. My own journey threw me for enough loops and detours and “oh, wait, I think I want this road instead” that I can’t begin to keep track of everyone elses. The important thing is that I didn’t give up. I didn’t get out of my POS car when it ran out of gas on my road to publication. I didn’t break my toe by kicking the bumper of said POS. And I certainly didn’t drag myself back home like a cowed dog to wallow in the blanket-worthy stack of criticism and rejections spread on my bed. Nope, I grabbed the red gas can that my wonderful “journey-friends” offered when they saw me standing by the side of the road stranded and looking forlorn, and filled my tank back up with their support and encouragement. Then I kept going. And I got there. Eventually. And to this day, every time I hear another author’s “journey” story I get new shivers. Because every journey out there is different, every one inspiring, but at the core of them all is something that links authors together. We made it. We didn’t give up. Though it may have hurt a bit, though there may’ve been times when we asked ourselves “why am I doing this?” We all made it to that ultimate moment of “the call.” And if you’re still on that road to publication (or maybe you’re thinking of stepping your foot on that path?) Well, make sure your blinders are off (so that you can see your “journey-friends” offered gas cans when you need them) and then enjoy the ride, and look me up when you get here. Wait! Before you run off to get back on the road, take a second to tell me who you are and where you are on your own journey…even if it’s not a booky kind of one 😉 Or, if you’re shy and that’s to “share-y” for you (which, trust me, I completely understand) just say HI! Two lucky commentors will win a copy of Deliver Me from Darkness! Thanks for stopping in! Virgin No More: Manda Collins! Thanks for visiting my Virgins No More debut author blog! 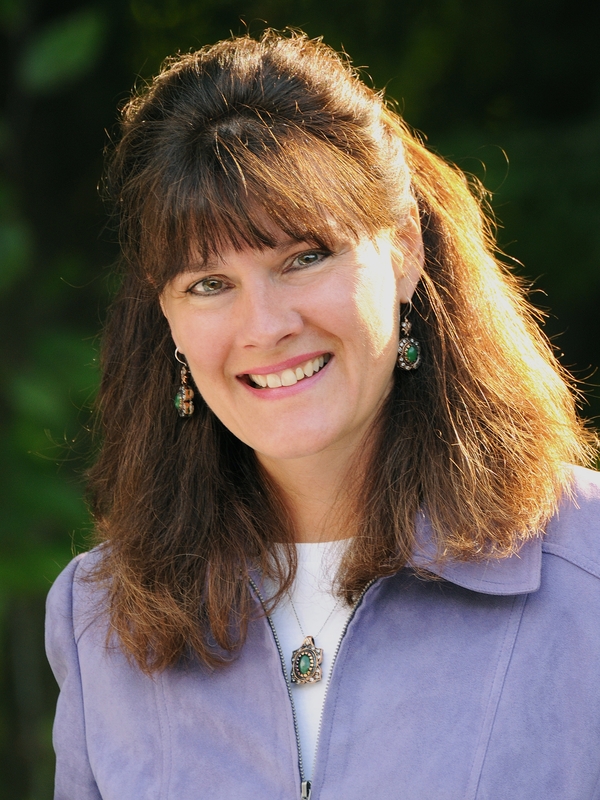 Today’s guest author is Manda Collins. A native of coastal Alabama, Manda spent most of her childhood and teen years wishing she’d been born a couple of centuries earlier in the English countryside. Time travel being what it is, she resigned herself to life with electricity and indoor plumbing, and read. A lot. 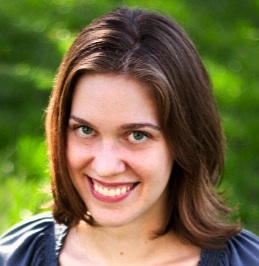 After years of false starts, in 2006 she finally got serious about finishing a novel, and in 2008 began querying with her first book, a Victorian historical, and was eventually signed by agent extraordinaire Holly Root of the Waxman Literary Agency. The first book is under the bed, but in September 2010, she sold her Regency historical, How to Dance with a Duke, in a three-book deal to St. Martin’s Press. Manda lives in the house her mother grew up in with three cats, sometimes a dog, sometimes her sister, and always lots of books. 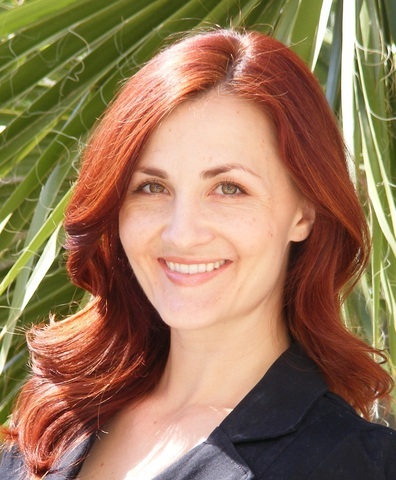 To learn more about Manda, you can visit her website http://www.mandacollins.com or find her on Twitter @MandaCollins. When Kaki told me the topic for this series of blogs, I hesitated. You see, I wasn’t technically a publishing virgin before I sold How to Dance with a Duke. I know what you’re going to say. “But, Manda! There’s no such thing as technical virginity. Either you are or you aren’t!” And my response to you is…well…let me tell you my story. Back in what seemed like another lifetime, I had one ambition. And it had nothing to do with writing a romance novel (though I did want to do that, it wasn’t my ambition yet). What I wanted more than anything back then was to get my PhD in English Literature. I majored in English as an undergrad, and naturally, my favorite professors were in the English Department. And I was pretty good at the thing. I could whip out an insightful 3 to 5 page, or 5 to 7 page paper with little or no fuss. And I loved literature. Still do. It wasn’t as if I could major in romance novels or even the criticism of them back then. First of all I’d have been laughed out of the department. And second of all, I needed to pursue a profession that would, you know, allow me to make a living. And while PhD in English doesn’t exactly garner the same salary as an MBA or Investment Banker, it seemed like a pretty decent way to make a living while doing what I loved: read books. The whole time I was at Alabama I kept on reading romance on the side. And coincidentally, I was there around the same time that the boom in film versions of Jane Austen’s novels became big box office. And those films made me think it might actually be possible to combine my love of scholarship and my love of romance. Sometime during my second year in the MA program, I ran across a Call For Papers (this is the academic equivalent of a publisher’s call for submissions) that asked for papers exploring the Jane Austen films and their relation to the original texts—the papers selected would be compiled into a book of criticism. Reader, I was never so excited to write a paper than I was about that one. It is the only paper I’ve ever written that wasn’t for a grade, but was out of sheer love of the subject matter. Which, in retrospect should have told me something, but at the time just seemed like a wonderful coincidence. I sat down one weekend, formulated an argument, and whipped it out. And it was accepted! There was much rejoicing. Not too long after that, some stuff happened that encouraged me to make the tough decision to leave academia with my master’s and forgo the PhD. I moved back to Mobile. Got a job with a library subscription agent, and later went on to get a library degree. Which is what I should have been doing in the first place. But I learned something from that one academic article. I learned that it was only when my heart was truly engaged by the subject matter that I found my voice. And while I was pretty good at writing about all kinds of literature, my heart was engaged by Jane Austen and the Regency period. And years later, when I found myself being more open about my romance reading habit, and when I began to dabble in the online romance community, I found a level of comfort that I now realized was missing when I was in academia. It was only a few years later that I started writing my own romance novel, got an agent, and sold my first book to St. Martin’s Press. 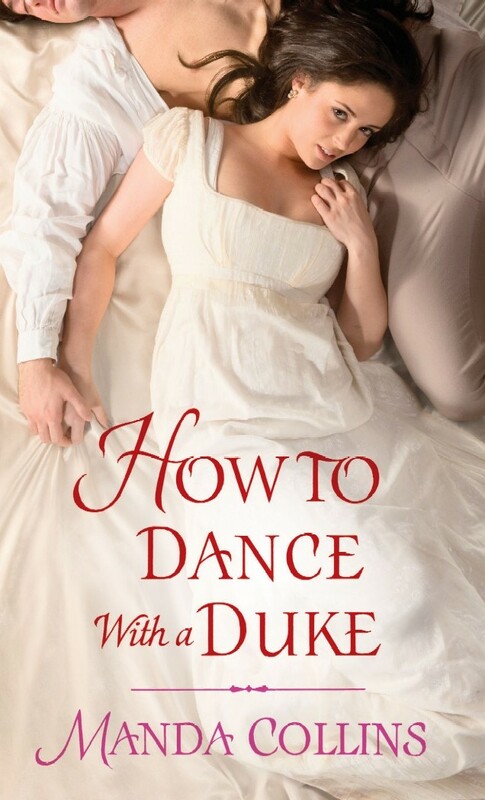 With the publication of How to Dance with a Duke on January 31, 2012, my technical virginity in the publishing world was finally dispensed with. And once again I’m learning what it feels like to reach another, deeper level of comfort. If I’d known all those years ago as an undergrad just how good it feels to be a published author, I would have written a romance novel a long time ago. But I would have missed the journey, and I don’t think I’d have appreciated getting here nearly as much. What about you? Would you rather skip all the in betweens and jump right into your happily ever after, or do you think the journey matters? Inquiring Minds Want to Know! Submit a comment below and be entered to win a copy of my book! Virgin No More: Lisa Potocar! Meet our next “Virgin No More”, Lisa Potocar, who is chatting with us about her debut novel, Sweet Glory, which is suitable for young adult readers up to and including old curmudgeons like moi. This is a fascinating glimpse at a little-known historical fact: that quite a few women dressed as men and fought in the Civil War. I didn’t know that, did you? As Publishers Weekly says, “This book combines historical accuracy with romance and a suspenseful narrative that will keep readers hooked.” WOW! Here’s a short blurb: Sweet Glory is about sixteen-year-old tomboy Jana Brady who trims her auburn tresses and rides off as Union Cavalryman Johnnie to fight in the American Civil War and comes of age playing soldier, nurse, and spy. Great premise. Lisa currently lives in Upstate New York with her husband and two cuddly keeshonds. Her passion for writing and research stems from her former work in health care administration and as a professor. When not tracking some morsel of history to shape into a story, she’s a tomboy at heart who loves to hike and bike and has traveled the world to do it. You’ll never meet a lady with more energy or such boundless enthusiasm. Please welcome my next ex-virgin…take it away, Lisa! Even before I could read, I heard the magic in stories. I daydreamed of entertaining readers in the same way. Into my thirties, I finally stumbled upon a subject that would “shiver me timbers”—as Popeye says—to write about every day. I was working in healthcare then (often stressful) when my mother coaxed me into touring some of NewportRhode Island’s colonial homes. There was no love between me and the past, but I thought, What the heck? Any getaway is good. While at the Hunter House, the melodic voice of the tour guide, dressed in period costume, lulled me back to a moonless night during the Revolutionary War. In this Georgian-style mansion, I pictured Admiral de Ternay, the commander of the French fleet (ally to the colonial forces), seated on a floral sofa in the parlor. Under the glow of candles, resting in pewter holders crafted by local artisans, I imagined him unrolling a map to betray the offensive position of British ships along the coast…then the tour guide seized me from my trance with his demand to proceed to the dining room. Viewed in this up-close, personal way, I found a lust for history! When I returned home, I bedded down with historical fiction. Amongst my favorites: John Jakes’ North & South trilogy and Kent Family Chronicles. But it was during my affair with non-fiction that this exciting morsel surfaced: Around three hundred women, both Yankee and Rebel, disguised themselves as soldiers to fight in the American Civil War. To honor these women, who became “Virgins No More” when they thrust themselves into roles thus far reserved for men, I created Jana Brady fromElmira,New York. While I carried Jana through a gestation far longer than an elephant’s, I satisfied my cravings to hone my writing skills by feasting upon every workshop, conference, or how-to-write book set upon my plate. And when I finished raising Jana, I sent her out to her teen readers and some international contests (many claim the latter to be virgin territory—though, my Crested Butte Writer peers know all about this). For nominal entry fees, I yielded excellent feedback to nurture my “brain child.” The next year, I reentered the same contests. Ouila! I started to win. I was no virgin to studying the market. My list of agents made my head swim; that of my publishers seemed manageable. With my own personalized criteria and rating scale, I narrowed the field of 65 to 3 that I deemed as “off my chart.” I sent to the one I liked the best. Bingo! I’m thrilled to say that thanks to Tate Publishing (Oklahoma), I’M A VIRGIN NO MORE! I couldn’t be happier with the job the editing, design, media, and marketing/publicity departments have done to help position my novel for success! My quest to become a “Virgin No More” took 11 years, from concept to publication. Some very famous authors might tell you it took them even longer—what d’ya say, Kaki? Actually, it might’ve taken me longer, but Jana and her story wouldn’t stop stalking me by day and haunting me by night. Sound familiar? Then you’ve found your writing passion. Now, hop to it and don’t stop until you’ve purged this story from yourself and then spent time spit-shining it—you’ll feel better and your readers will love you for it! 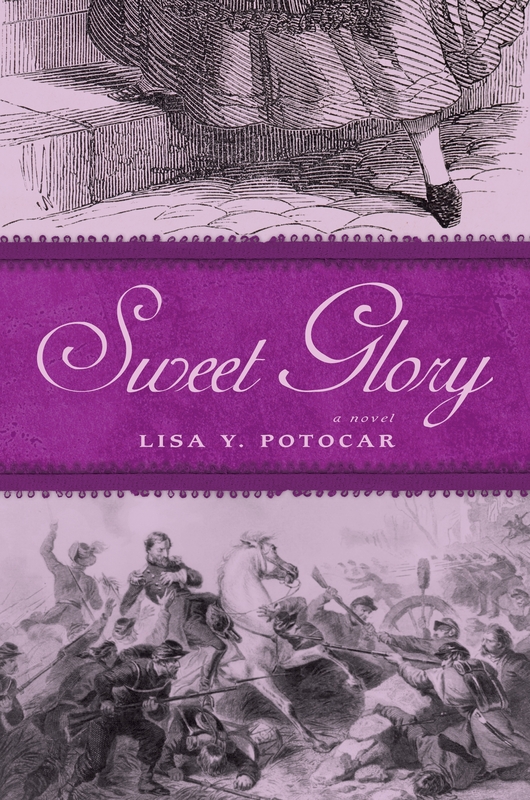 Question for Giveaway: Want a free, autographed copy of Sweet Glory? Then leave a comment and let me know what draws you to historical fiction? That it revolves around an actual historical event or person, even though the main characters are fictional? Or that it’s simply a great story that happens to be set in the past? Or is the historical aspects of the story of less importance than the characters? You can also find out more about Lisa and her books anytime at her website: www.lisapotocar/tateauthor.com.